Lets open our bibles to Matthew 16v24-26! The Jesus I hear about today from some people outside the church, as well as inside the Church, bears no resemblance to the Jesus who said those words. They are comfortable with a Jesus who is at their mercy and who doesn’t ask too much of them! They like putting Jesus in a box and only opening the box to let Him out when required! That Jesus is an insipid, nodding head, Jesus – worthy only of being on the back shelf of a car and that’s about all. But that is exactly the opposite of the Jesus who said those words from Matthew – the Jesus who commands obedience and sacrifice! As I look through the Old Testament, I read about how the world fell out of a living, dynamic relationship with God! But I also read how a Messiah, a saviour or rescuer if you like, was to be sent by God, in order to restore the world back into an intimate, living relationship with God Himself! I read the Gospels in the New Testament and I see this Messiah as the God-man, Jesus Christ. As I read the rest of the Bible’s New Testament and the history of the followers of Jesus Christ and the spread of his followers, the church, through its birth and early life, I get a WOW factor about Him. But for a lot of people today, including those who would call themselves a Christian, their view or vision of Jesus is still too small. So I wonder, is your Jesus too small? 1. Who is my Jesus? As I regularly read the Bible, I see at least a six-sided portrait of Him! There are many more, but we don’t have time for that today, you might be thankful to hear! a. Unique : The first word I would use for Jesus is Jesus is unique – totally unique! Never before and never to be repeated ever – Jesus Christ is the standout person from all of history! Indeed, history is divided into BC and AD – ‘Before Christ’ and ‘After Christ’. In all of history, Jesus Christ is incomparable and totally unique! Yet in human form, we read that during his earthly ministry he had no physical beauty that would draw people to him. We read that Jesus’ body on the cross was disfigured and tortured beyond that of human likeness. His perfect life, His salvation work on the cross and His subsequent rising from the dead, is what makes Jesus Christ unique – a once and for all lifetime Messiah or Saviour for the entire world! WOW!! b. Majestic: Then the Jesus I see is full of majesty and awe! He is not simply a king with a crown on his head. He is the King of all Kings! This Jesus Christ did not decay in the grave – He overcame death in the grave and was raised again majestically! Paul writes in Colossians 2v3, that in Jesus Christ, all the majestic treasures of wisdom and knowledge are hidden. Jesus Christ the King of Kings and Lord of Lords, who with unparalleled majesty is the head of the church. c. Tender : Next I go to look into his eyes – his tender eyes! Jesus looks upon people with love, adoration, justice, tenderness and compassion. Eyes filled with the tears of mercy, grace, love and compassion. Eyes that are also filled with rage at injustices! His penetrating eyes that can separate flesh and spirit!! This Jesus is kind and sympathetic – his look of love on a world that is separated from God, and a world He is calling back into an active relationship with God. The love Jesus had when he wept in the garden as he sweated drops of blood, before he was betrayed and crucified. d. Wise: Then there is Jesus the wise man! When Jesus spoke words, people were amazed! They were astounded that He spoke with elegance and yet with authority. They had never heard anyone speak like He did – with both grace and authority. The same is true today, if we are listening. That is why we read the Bible to find out what He would say to us. That is why we seek to hear Him speak to us and why we speak to Him. 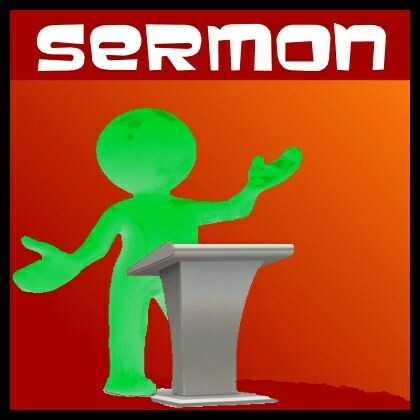 That is why preaching is to be seen as an act of worship – by both the preacher and the listener! e. Strong: Jesus is strong enough and capable enough, to carry any burden that we can lay upon Him. Jesus Christ gives a solid and sure foundation for all aspects of life. If something has a solid foundation, it will not fall and cannot be destroyed. Indeed Jesus Christ will never fall or decay such is His imperishability as the everlasting God. He is solid, dependable and strong; nobody and nothing can stand against Him. If we are truly His, then we ought not to fear or worry about anything, for we will be under his protection, forever! f. Lovely: finally, my Jesus oozes loveliness! He gives out a sense of exaltation and joy. Joy is not always externalized loudly as some people think but also internalized quietly! So if somebody is filled with joy, don’t always expect it be seen! Jesus is altogether lovely and lovely altogether! Jesus is beyond compare for the things He has done and the things He will do. He is altogether lovely in regard to his person, humanity, birth, life, ministry, death, resurrection, ascension, exultation, glorification, grace, protection, tenderness, power, wisdom, vengeance, judgment, majesty, redemption and pardon. I could go on and on! That is my Jesus -unique, majestic, tender, wise, strong and lovely. Is this your Jesus? 2. Jesus – So what? That is my Jesus, whom I seek to serve and obey every second of every day. This Jesus I seek to obey in every facet of life. And it is this Jesus whom I depend upon and personally know to be totally reliable in every way. But so what, you may say – those outside the church certainly ask it! All through each day, I know He has been dependable, going ahead of me! Amazing! This is the Jesus who commands self-sacrifice and obedience. This Jesus who commands His followers to rely solely on His sacrifice and have dependence on Him for all things. Jesus Christ who commands all His followers to a life of total obedience to Him and Him alone. This Jesus who died on a Roman cross two thousand years ago was the same Jesus who was raised from the dead, without decay, into newness of life and ascended to the right hand of the Father. There is only one Saviour for the world and there will never be another. Despite the bleating of other religions and faiths! Jesus never said, “I am a true vine; a way, a truth and a life”. Just as He did not say “I am a shepherd, a door, a light or a bread of life. No – Jesus is the only way, the only truth and the only life. Jesus is the only great shepherd and the only door to life with God. Jesus is the only light of the world and the only bread of life. Jesus calls everyone to partake of the nourishment and shelter only He can provide. Sadly only a few respond: “Yes!” Are you one of those? Jesus WOW! What does WOW stand for, I hear you asking yourself? It means “Worthy Of Worship!” Jesus Christ most certainly is that! The Jesus WOW factor involves Jesus being radical and relevant! Even a brief look of the Gospels will reveal that about Jesus! Some people even back then didn’t get Jesus, and people still don’t get Him two thousand years later! And whose fault is that? Its not Jesus’ fault that people today still don’t respond to Him! It’s a result of the church and Christians down through the ages, including today, not following Jesus and obeying His commands as closely as they could or should! People out there are looking at the Church and Christians – looking at how we behave, how we speak, how we drive our cars and looking to see if we are any different to them and looking to see what difference Jesus Christ has made in our lives! That’s why my parents thought churches were dangerous places and Christians brainwashed and deluded people. They did not hesitate to tell me that that is what they thought about Christianity! But I responded to the call of Jesus, rebelled against my parents and became a follower of him 30 years ago next year. You could say I am the white sheep of my family – so far anyway! The word Christian, means little Jesus. When living in London, after church each Sunday, we would go to this one particular Chinese restaurant for lunch each time. Often as a group of us entered and walked up the stairs to take our seats, they would say: “There go the little Jesuses!” They would mean it mockingly but we took it as a compliment! That’s what being a Christian is to be – a little Jesus! In our local community, wherever we happen to live, work or be! We are to live lives worthy of Jesus Christ, being transformed by the Holy Spirit who lives inside each one of us if we are His, and being totally and willingly obedient to Him! Loving God and loving others – by, showing compassion, helping others and being the voice of Jesus Christ to a community out there, which is rapidly decaying. The world out there and this community will know you and I are Jesus’ followers, if we are obedient to Him, practically showing love to all! Oh that we as the church would love each other instead of fighting with each other! Imagine this community transformed for Jesus Christ, having got the WOW factor! Imagine this community filled with people seeking to know about our Jesus, because the Christians were sacrificing their time and possessions, wanting in every aspect of life to give Jesus the glory and honour that is worthy of His name alone – just as they did in Acts 2! Loving God and loving each other as He commanded would spread the WOW factor through our local communities, both large and small! Transformed communities of people devoted to Jesus and experiencing the power of the Holy Spirit in bringing people back to God the Father! The WOW factor is not always an exuberant experience but also covers the silent, contemplative and gob-smacking experiences! Jesus Christ doesn’t just live in the loud, as some would proclaim, but also in the quiet where the small, still voice of God is whispered. That was the last thing the young man expected to hear. And so, crest-fallen, he walked away. He was holding on tight to a lot of things, and he couldn’t bear to let go. Now riches aren’t necessarily a problem but they were for that man because nothing could take precedence over them – they were his ‘god’ as it were, and he was placing all his trust in them, even if he didn’t realise it at the time! What are you placing your trust in, over and above, Jesus Christ? If you are already in a relationship with Him, He wants to give you freedom, true independence on this Independence Day, to live a life worthy of Him. Is Jesus your whole life and your whole life Jesus? That means does He have total authority over every aspect of your life. All aspects of life such as relationships, family, work, bank accounts, possessions, worries and troubles? By authority, I mean power! Following Him and carrying your own cross means that – a life sacrificed for Him and obedience to Him alone! Jesus wants to influence every area of your life – not just certain parts you are willing to give up but all aspects of life! Jesus came to earth to give comfort to the uncomfortable and we are to do the same – give comfort to those in need. Maybe you are feeling the desolation and loneliness because of decisions made in the past. Give it up willingly to Jesus and don’t keep trying to take it back like a security blanket! If you have something even partially blocking your relationship with Jesus, get rid of it – ask Him to take it away! Finally, you may not yet be a follower of Jesus Christ. I don’t know. If that is you, then accept His call upon you. For He is calling you, urging you to return to a relationship with God through Him and Him alone. You may not get another chance. Usually, with a small still beckoning voice, Jesus whispers: “Come! Come and follow me alone!” This Jesus wants to connect with you in an intimate, dynamic, active and spiritual relationship – remember His eyes wander the earth looking for those wanting to submit themselves willingly to Him. If that is you, then please do speak to somebody today about finding out how you can start this relationship with the Living God, Jesus Christ. He calls you by name. As I conclude, let me read to you something CS Lewis wrote in his book, Mere Christianity, about my Jesus. I ask again: Is your vision of Jesus too small? Last Sunday we reflected together about the WOW factor of Jesus. What does WOW stand for? Worthy of Worship! We saw together how as expressed in Colossians 1v15-20 Paul had a WOW factor about Jesus Christ! I shared how the WOW factor of Jesus for me included his uniqueness, majesty, tenderness, wisdom, strength and loveliness. That this extraordinary Jesus loves us with an unparalleled and creative passion! Then we looked at the WOW factor having an impact on communities by way of us as Christians being as Jesus, through loving, serving and giving to others! We saw that by using the power and strength of the Holy Spirit within us, meant that we would never tire of loving, serving and giving to others. Then finally, this Jesus will be returning and will do the most extraordinary thing to all those who persevere – Revelation 21v4 ‘He will wipe every tear from their eyes. That’s a WOW factor of Jesus! How has your WOW factor of Jesus been this past week? It would be lovely to just stay there and bask in that WOW factor but that would not be the full picture! We have to live between the present and the future and Jesus has left us with a job to do! Anybody here find that following Jesus closely easy? Not just me then! G’day! 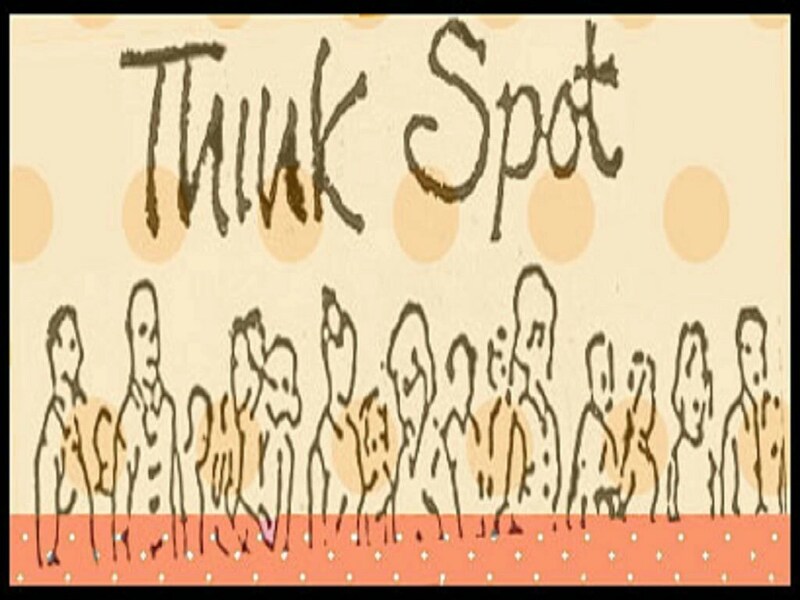 Welcome to Partakers Think Spot at the start of new week on Monday the 29th of August 2011. Paul, a servant of Christ Jesus, called to be an apostle and set apart for the gospel of God- the gospel he promised beforehand through his prophets in the Holy Scriptures regarding his Son, who as to his earthly life was a descendant of David, and who through the Spirit of holiness was appointed the Son of God in power by his resurrection from the dead: Jesus Christ our Lord. Through him we received grace and apostleship to call all the Gentiles to the obedience that comes from faith for his name’s sake. Jesus is unique – totally unique! Never before and never to be repeated again – ever! Jesus Christ is the standout person from all of history! In all of human history, Jesus Christ is incomparable! Yet in human form, we read that during his earthly ministry he had no physical beauty that would draw people naturally to himself. We read that Jesus’ body on the cross was disfigured and tortured beyond that of human likeness. His perfect life, His salvation work on the cross and His subsequent rising from the dead, is what makes Jesus Christ unique – a once and for all lifetime Messiah or Saviour for the entire world! This great God of creation, stepping into His creation as a human, with the purpose of reconciling the world back to Himself! WOW!! Jesus’ uniqueness meaning I can have an active and dynamic relationship with God. As you go into this week may your relationship with God be active and dynamic! Go and thank Jesus Christ for his uniqueness which allows this to occur. Christmas time is the season when the name of Jesus is on a lot of peoples lips – even if they don’t believe he existed or don’t care about him now! For those people, the vast majority, they are comfortable with a Jesus who is a baby in a crib… But Jesus went on to live a full life, die an agonizing death and rose again on the third day! He has the WOW factor! The existence of the church itself owes it to Jesus Christ and his WOW factor! If there was never any Jesus or He didn’t rise from the dead, then the Church would have died in its infancy and Jesus himself would only be a footnote in history! WOW!! What does WOW stand for? It means “Worthy Of Worship!” Jesus Christ most certainly is that! The Jesus WOW factor involves Jesus being radical and relevant! Even a brief look of the Gospels will reveal that about Jesus! Some people even back then didn’t get Jesus, and people still don’t get Him two thousand years later! And whose fault is that? Its not Jesus’ fault that people today still don’t respond to Him! It’s a result of the church and christians down through the ages, including today, not following Jesus and obeying His commands as closely as they could or should! People out there are looking at the Church – looking at how we behave, how we speak, how we drive our cars and looking to see if we are any different to them and looking to see what difference Jesus Christ has made in our lives! That’s why my parents thought churches were dangerous places and Christians brainwashed and deluded people. They did not hesitate to tell me that that is what they thought about Christianity! But I responded to the call of Jesus, rebelled against my parents and became a follower of him 30 years ago next year. You could say I am the white sheep of my family – so far anyway! The first word I would use for Jesus is Jesus is unique – totally unique! Never before and never to be repeated ever – Jesus Christ is the standout person from all of history! Indeed, history is divided into BC and AD – ‘Before Christ’ and ‘After Christ’. In all of history, Jesus Christ is incomparable and totally unique! Yet in human form, we read that during his earthly ministry he had no physical beauty that would draw people to him. We read that Jesus’ body on the cross was disfigured and tortured! So much so that it was described as being beyond that of human likeness. His perfect life, His salvation work on the cross and His subsequent rising from the dead, is what makes Jesus Christ totally unique – a once and for all lifetime Messiah or Saviour for the entire world! WOW!! Then the Jesus I see is full of majesty and awe! He is not simply a king with a crown on his head. He is the King of all Kings! This Jesus Christ did not decay in the grave – He overcame death in the grave and was raised again majestically! Paul writes in Colossians 2v3, that in Jesus Christ, all the majestic treasures of wisdom and knowledge are hidden. Jesus Christ the King of Kings and Lord of Lords, who with unparalleled majesty is the head of the church. Next I go to look into his eyes – his tender eyes! Jesus looks upon people with love, adoration, justice, tenderness and compassion. Eyes filled with the tears of mercy, grace, love and compassion. Eyes that are also filled with rage at injustice! His penetrating eyes that can separate flesh and spirit!! This Jesus is kind and sympathetic – his look of love on a world that is separated from God, and a world He is calling back into an active relationship with God. The love Jesus had when he wept in the garden as he sweated drops of blood, before he was betrayed and crucified. Then there is Jesus the wise man! When Jesus spoke words, people were amazed! They were astounded that He spoke with elegance and yet with authority. They had never heard anyone speak like He did – with both grace and authority. The same is true today, if we are listening. That is why we read the Bible to find out what He would say to us. That is why we seek to hear Him speak to us and why we speak to Him. That is why preaching is to be seen as an act of worship – by both the preacher and the listener! Strong! Jesus is strong enough and capable enough, to carry any burden that we can lay upon Him. Jesus Christ gives a solid and sure foundation for all aspects of life. If something has a solid foundation, it will not fall and cannot be destroyed. Indeed Jesus Christ will never fall or decay such is His imperishability as the everlasting God. He is solid, dependable and strong; nobody and nothing can stand against Him. If we are truly His, then we ought not to fear or worry about anything, for we will be under his protection. Finally, my Jesus oozes loveliness! He gives out a sense of exaltation and joy. Joy is not always externalized loudly as some people think but also internalized quietly! So if somebody is filled with joy, don’t always expect it be seen! Jesus is altogether lovely and lovely altogether! Jesus is beyond compare for the things He has done and the things He will do. He is altogether lovely in regard to his person, humanity, birth, life, ministry, death, resurrection, ascension, exultation, glorification, grace, protection, tenderness, power, wisdom, vengeance, judgment, majesty, redemption and pardon. I could go on and on! That is my Jesus -unique, majestic, tender, wise, strong and lovely. That is my Jesus, whom I seek to serve and obey every second of every day. This Jesus I seek to obey in every facet of life. And it is this Jesus whom I depend upon and personally know to be totally reliable in every way. Is this your Jesus? Is Jesus your whole life and your whole life Jesus? That means does He have total authority over every aspect of your life. All aspects of life such as relationships, family, work, bank accounts, possessions, worries and troubles? By authority, I mean power! Following Him and carrying your own cross means that – a life sacrificed for Him and obedience to Him alone! Jesus wants to influence every area of your life – not just certain parts you are willing to give up but all aspects of life! Jesus came to earth to give comfort to the uncomfortable and we are to do the same – give comfort to those in need. Maybe you are feeling the desolation and loneliness because of decisions made in the past. Christmas can be a very lonely time for some people. Give it up willingly to Jesus and don’t keep trying to take it back like a security blanket! If you have something even partially blocking your relationship with Jesus, get rid of it – ask Him to take it away! Let Him give you the WOW factor. Let the WOW factor going and see your community transformed. Merry Christmas from Partake Ministries!